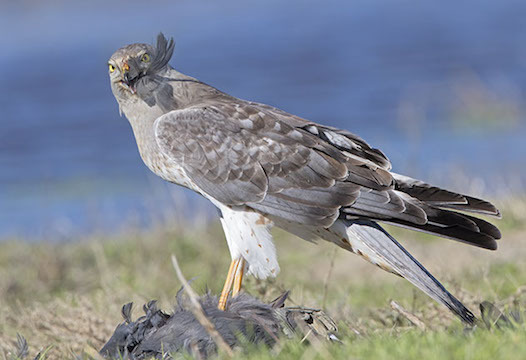 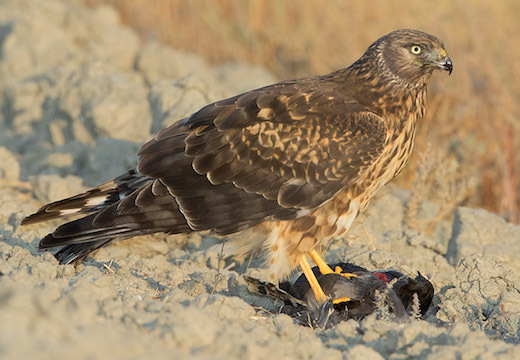 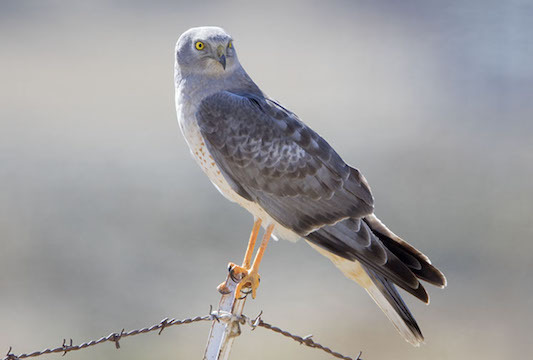 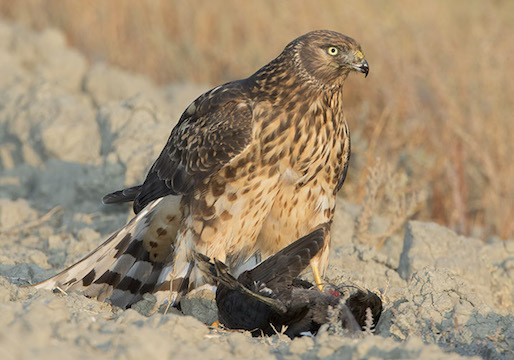 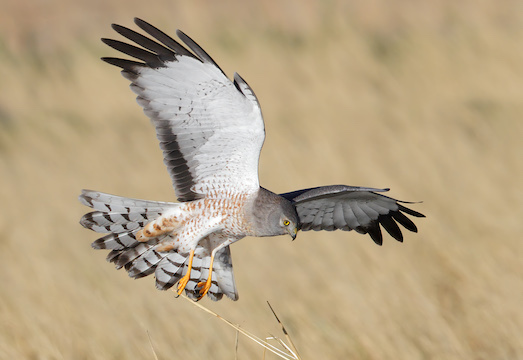 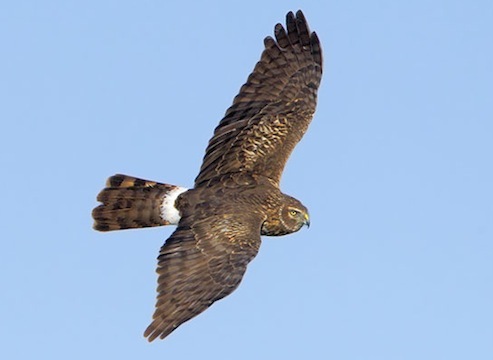 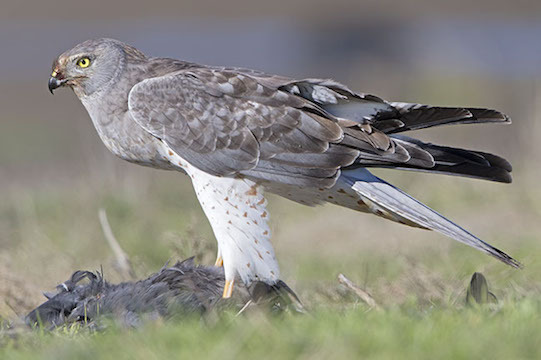 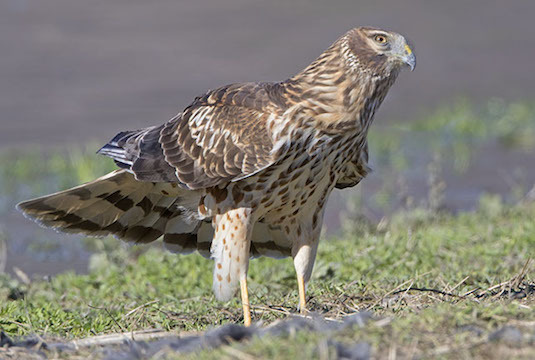 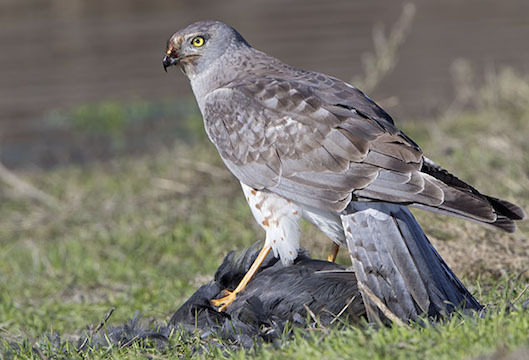 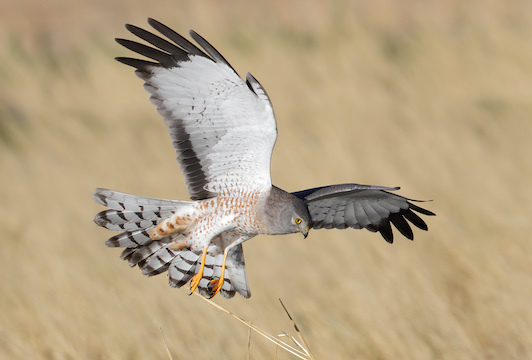 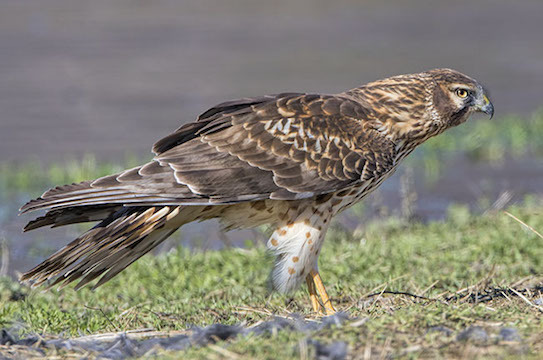 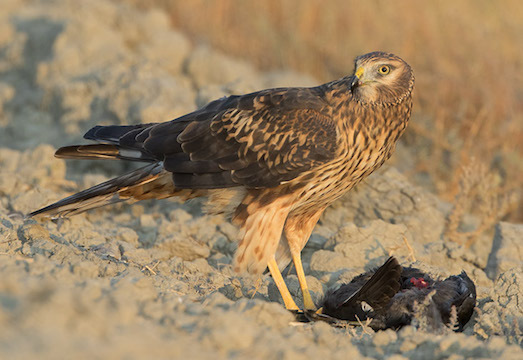 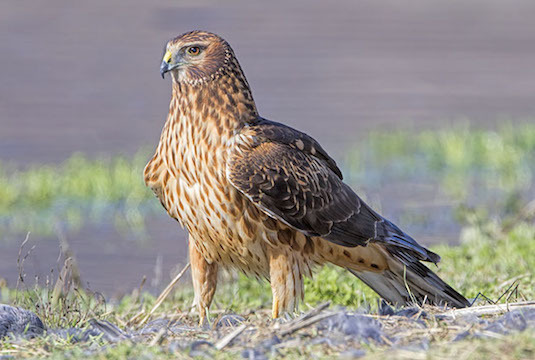 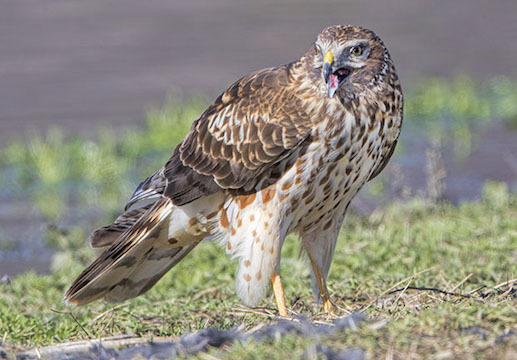 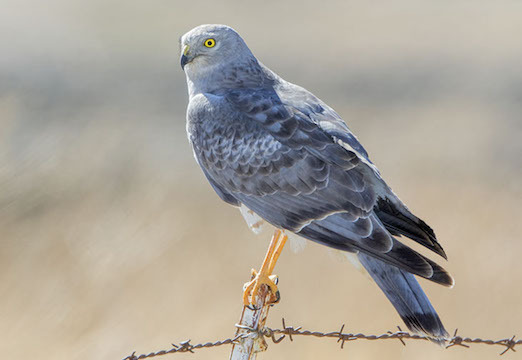 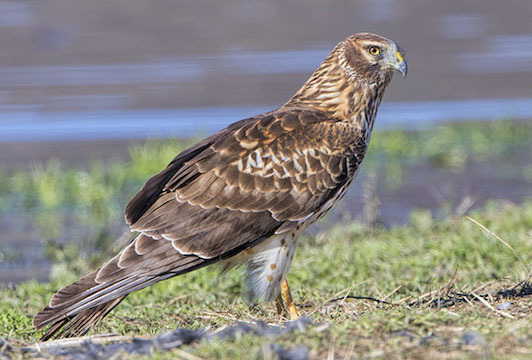 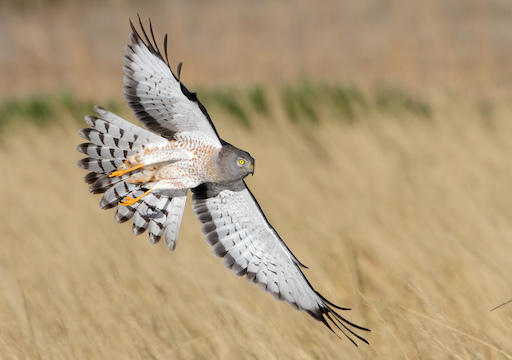 These northern harriers were at the San Jacinto Wildlife Area near Riverside, California. 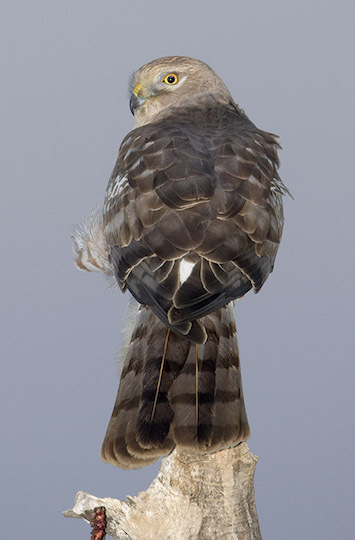 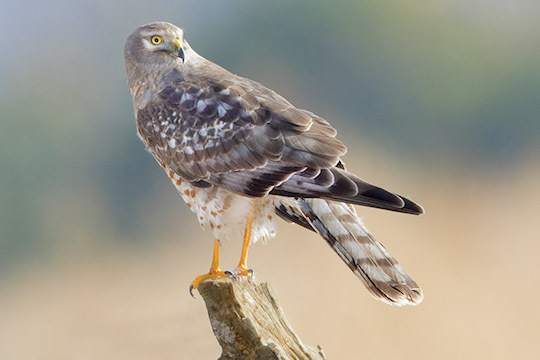 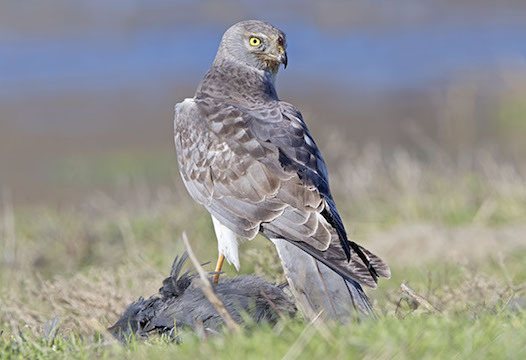 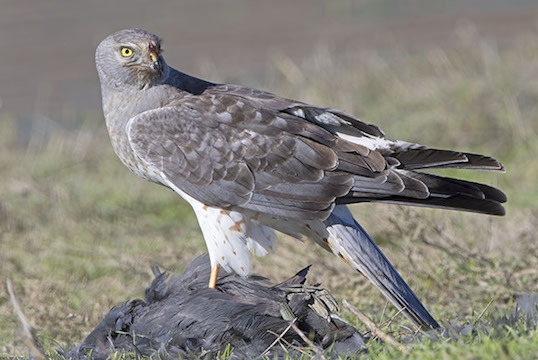 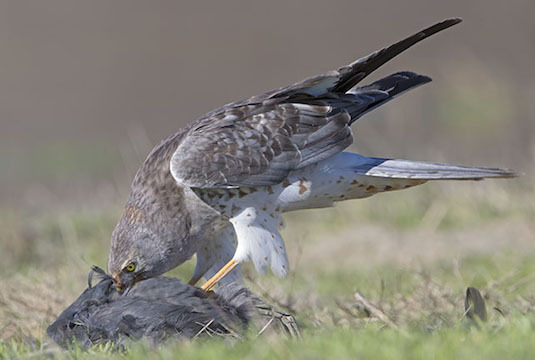 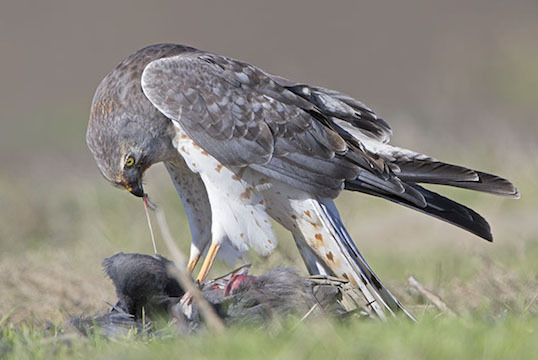 The birds with brown-streaked undersides are adult females; adult males are sleekly gray and white. 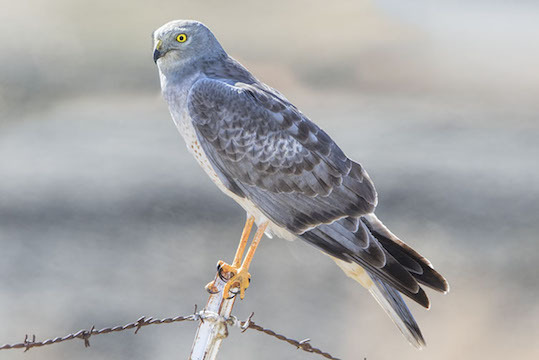 The species' long wings and white rump patch can be seen in one of the photos; more images are here and here).